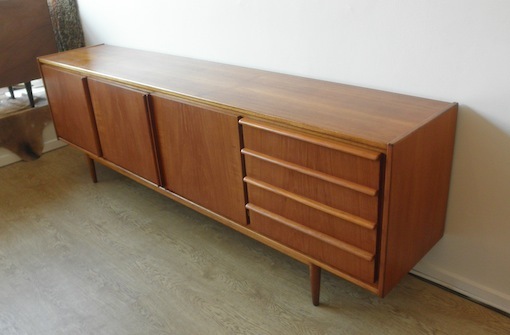 This Parker teak sideboard is a rare super long size at around 7′ 1” and is in fantastic condition having been used sparingly by it’s original owner. 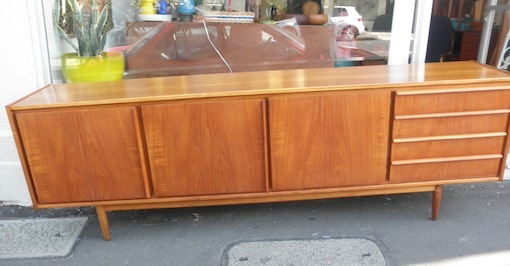 It has amazing figured warm teak and is a testament to Parker’s incredible craftsmanship. Great storage with style.